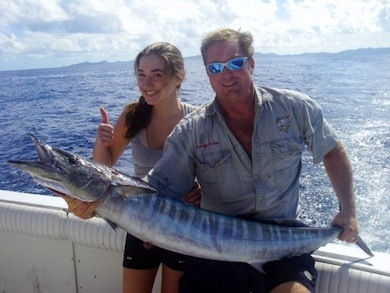 St Croix fishing is one of our favorite things to do. We love the thrill of casting a line into the deep blue sea and then reeling in a mighty catch! 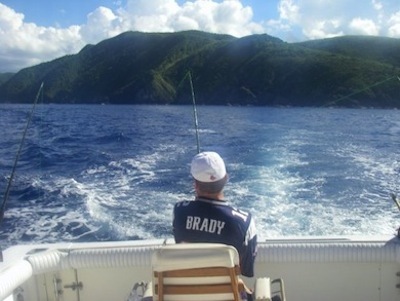 The men in my family are big into fishing (and football as you can see from the photo above.) 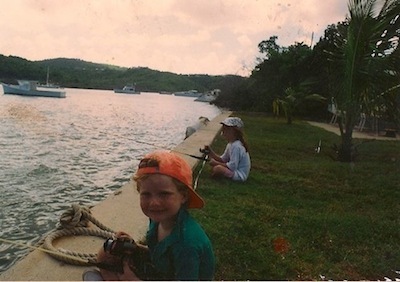 So we always have great caribbean fishing adventures every time we go to the island. 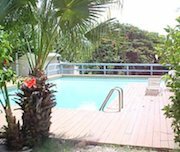 The best thing about fishing in St Croix is that you can charter a boat for an exciting deep sea voyage or you can simply drop a line in the water right from the beach or pier. Either way you're sure to have a fun experience! St Croix deep sea fishing can't be beat because the water is teaming with large, majestic fish like mahi mahi (dolphin), wahoo, tuna, and marlin. And you don't have to travel far to get fish! The boat captains usually start casting lines just a couple miles outside of the harbor. 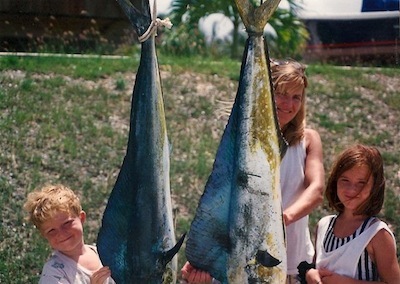 The thrill of deep sea fishing is unlike anything else, but sometimes my family and I just want a more relaxing fishing experience. So we cast in a couple lines off the dock or beach. You can catch tarpon, snook, bonefish, snapper, and many other species by just casting a few lines and waiting patiently for that perfect bite!